This is an outstanding volume of two stories created by some exceptionally talented people. 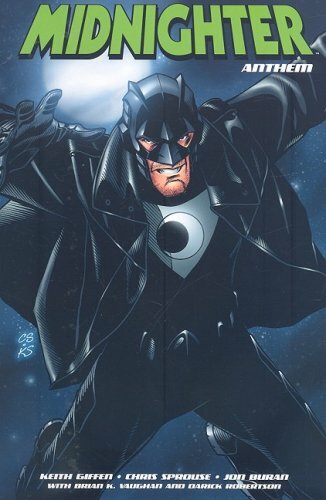 The longer story concerns Midnighter trying to have a normal life and to discover who he was before Henry Bendix. A tall order. The small town he visits is great plus the evil corporate antagonist and their ensuing ideology is also well written. There is plenty of good dialogue particularly with his new sidekick and his daughter. There is also a lot of action – which you expect in a Midnighter book – that feels more of a necessary evil in the early part of the story. Giffen does a superb job with the character but the fact the entire art team from penciller to letterer changes virtually every issue is disappointing. You do get to see a good variety of styles and effects but having your hero look different every five minutes is unacceptable. The star of this volume and the entire series is the one-shot written by Brian K Vaughan and drawn by Darick Robertson. The art and the colours are simply breath-taking. You can tell everyone has gone above and beyond in rendering this stunning book. The story is pretty much disposable nonsense BUT it is told backwards. Like the film Memento in a way we learn what has gone before. At first you think it is just flashbacks but then the penny drops. The sequence of pages has been reversed. What is testament to Vaughan’s genius is that you can read it in both directions. And it is very rewarding when you do. This story is possibly the most astounding piece of creativity I have ever seen in comics. This deserves the King of All Thumbs Up! This entry was posted in Graphic Novel and tagged Brian K. Vaughan, DOUBLE Thumbs Up! !, Keith Giffen by 365gn. Bookmark the permalink.